“Say sorry to Jack for snatching from him!” The words flew out of my mouth, setting me up for an epic battle of wills. When my 6-year-old daughter finally mumbled an apology through her tears, I wondered if all the drama had been worth it. Had she learned anything by being pushed to say “I’m sorry”? Experts explain what’s important is not simply saying the words but learning to take responsibility for a mistake. 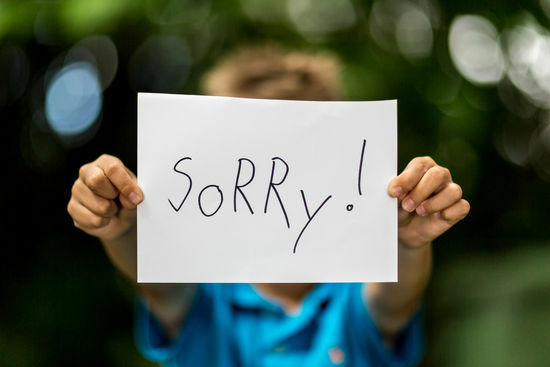 “Children this age may resist apologizing because they believe the mistake wasn’t their fault,” says Ericka Anderson, a licensed professional counselor at The Healing Grove, in Glenwood Springs, Colorado. “They need reassurance that even though they misbehaved, they are not ‘bad’ and are still loved.” By breaking the apology process into a few steps you can help your child understand how her actions affect others and learn when to make amends. Download the Manners4Minors Story “I’m sorry” to read to you child. Your child is having a disagreement with a friend and pushes him in the heat of the moment. Rather than rushing in and demanding an apology, help your child calm down first. “If you insist that he say he’s sorry when he’s still upset, he won’t understand how his behavior affects others,” says Jennifer Kirk, Psy.D., a psychologist at Kirk Neurobehavioral Health, in Louisville, Colorado. As he learns to have empathy, he will start to feel and appreciate the pain his actions can cause others. This can trigger remorse, which will help him better handle conflicts in the future. If your child’s anger is directed at you—he yells when you ask him to set the table—responding with “We don’t talk that way; apologize right now” will only escalate the situation and make him feel bad about being scolded rather than about being rude to you. “Say something like, ‘That hurts my feelings. I love you, but let’s take a few minutes apart and come back later,’ “ Dr. Kirk advises. One of the most powerful teaching tools you have is your own behavior. “Your child is watching what you do,” says Dr. Kirk. If you snapped at your son when he interrupted a conversation, you might say, “I’m sorry I didn’t respond in a nicer way. In the future, I’ll take a deep breath to calm down when I’m feeling frustrated.” This apology models the steps you are trying to teach him: taking responsibility and developing a plan for next time. As he sees this process in action again and again, he will internalize the words and the meaning behind them. MANNERS4MINORS is not a cultural program but rather a fun, interactive way of introducing young children to the benefits of behaving and using manners that are universally accepted. 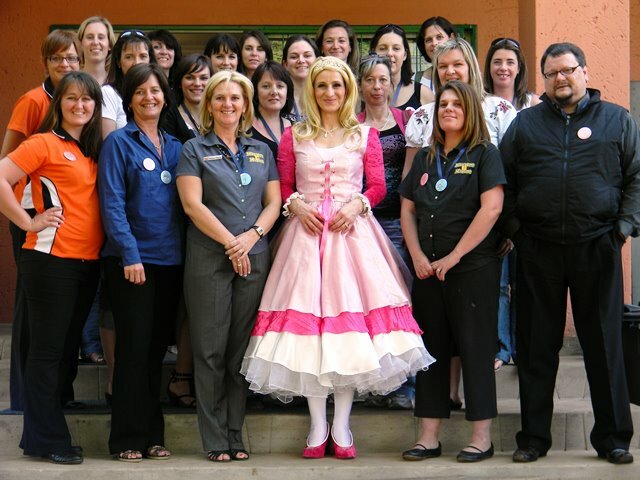 MISS MANNERS, as the teacher of the program is known, will demonstrate that behaving in a particular way will ensure that you are liked by your teachers, accepted by your friends and you will have a better chance in life – a well mannered child that becomes a well mannered adult has an enormous advantage over his peers.